Shelling erupts in the southern part of Srebrenica. Bosnian Serb soldiers take over the UN Observation Post Foxtrot. Retreating Dutchbat troops are halted by a roadblock of Bosniaks, who want the troops to stay in position to protect the enclave. A struggle ensues. In a chaotic moment, a civilian throws a hand grenade at a Dutchbat station, resulting in the death of a Dutch soldier. 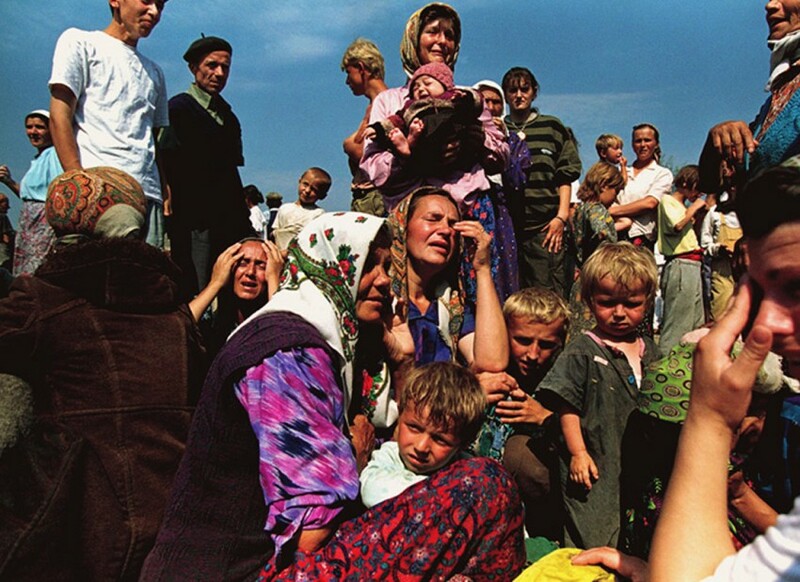 Constant shelling as refugees flee from Bosnian Serbs advancing in the south. The road to Srebrenica is now clear. Thirty Dutchbat soldiers are taken hostage by the Bosnian Serbs. Colonel Karremans files a request for Air Support, urging the selective bombing of Bosnian Serb tanks and artillery. Bosnian Serbs shell Dutch positions. UN commander General Bertrand Janvier rejects Colonel Karremans’ request for Air Support. Bosnian Serb General Ratko Mladić arrives on the hillside above the Srebrenica town centre. Colonel Karremans requests Air Support once again. General Janvier finally agrees on Air Support. Bosnian Serb attacks cease. General Janvier postpones Air Support until the morning. Colonel Karremans tells town leaders that 50 NATO planes will bomb Bosnian Serb positions at 6:00AM. Colonel Karremans is told that his request for Air Support was submitted on the wrong form. He must resubmit on the correct form. Airborne since 6:00AM, NATO planes are now out of fuel and must return to their base in Italy. Bosnian Serbs begin shelling once again. General Janvier hesitates over approving Air Support once again. More than 20,000 refugees – women, children, sick and elderly – flee for the main Dutch base at Potočari, three miles away. General Janvier authorises Air Support, three hours after it was requested. Two Dutch F16 fighters drop two bombs on Bosnian Serb positions. Bosnian Serbs threaten to kill the Dutch hostages and shell refugees. Further Air Strikes are abandoned. General Mladić enters Srebrenica to claim the town for the Bosnian Serbs. The Dutchbat troops claim their base is now full. More than 20,000 people, stuck outside the base, seek refuge in nearby factories and fields. Only 5,000 are allowed to remain within the base. Bosnian Serb soldiers arrive at Potočari base. General Mladić summons Colonel Karremans to a meeting. 15,000 men leave the enclave, and embark on a perilous 63-mile journey to the nearest Muslim territory, Tuzla. Mladić walks through the enclave, handing out treats and assures refugees, “No matter if you’re old or young, you’ll get transport. Don’t be afraid – women and children first.” The Bosnian Serb army then begin separating all men aged 12 to 77. The men are escorted in single file to a large house for questioning. A Dutchbat soldier sees a civilian being taken to the back of the house, made to kneel against a wall, and shot dead on the spot. 23,000 women and children are deported over the next 30 hours. The UN accepts the Bosnian Serb demand, and pays for the fuel of all buses. The men held in the house are driven away. All their possessions are burned. Bosnian Serbs begin shelling The Column traveling through the mountains to Tuzla. Hundreds are killed, while thousands wander the hills. 400 men are held in a warehouse. Many are beaten to death. Using stolen UN equipment, Bosnian Serb soldiers pose as peacekeepers, in an attempt to trick the men of The Column into surrendering. They use loudspeakers to assure the men that they will not be hurt upon surrender. Hundreds of men are spotted being gathered at a football field in Nova Kasaba by a Dutchbat soldier. The men are seen sitting in lines on their knees, with their hands behind their heads. The Dutch begin carrying out Bosnian Serb demands to expel all 5,000 refugees from their base. Hundreds of exhausted men of The Column are caught attempting to flee through the mountains. Over the next 72 hours, a systematic massacre ensues. 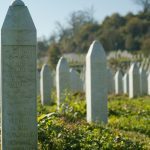 Bosnian Serb soldiers brutally slaughter 8,372 men in Srebrenica alone. After five days of fleeing through the mountains, the first survivors of The Column arrive in Muslim territory. Thousands have been killed during the journey. Following negotiations between the UN and the Bosnian Serbs, the Dutchbat troops are allowed to leave Srebrenica. General Mladić bids Colonel Karremans farewell. He tells him to have a safe journey, and wishes him all the best. He hands him a gift, which Colonel Karremans accepts with a smile, and asks, “Is this for my wife?” Both men laugh, and then share a drink together. They shake hands once more, and thank one another. As the UN cars leave Srebrenica, General Mladić and the Bosnian Serb soldiers salute. Dutchbat troops are seen celebrating in the streets, dancing and drinking. The first reports of the massacre begin to emerge. The UN Civilian Head of Bosnia, Yasushi Akashi, fails to report evidence of the atrocities. Elsewhere, Colonel Karremans refers to the attack on Srebrenica as being, “an excellently planned military operation”.